The Sakai Kokodo Han Publishing House - Established in Tokyo in 1870, Sakai Kokodo Han quickly established itself as one of the foremost publishers of ukiyo-e reprints. Since 1870, the venerable publishing house has passed down through four generations of the family. Their dedication to quality and detail makes them one of the few 19th century publishers still in business today. We are pleased to offer these beautifully produced prints from the early 20th century, sealed with the Sakai Kokodo Han publishing seal. 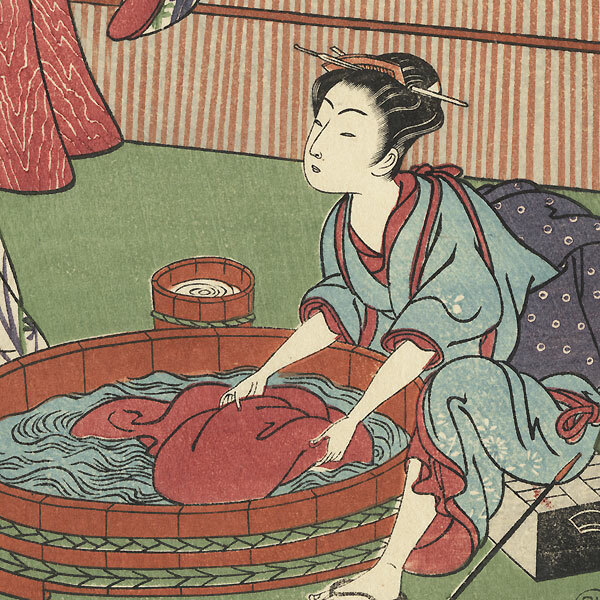 These rare, old reprints masterfully capture the subtlety of color and crisp line work of the original ukiyo-e prints. 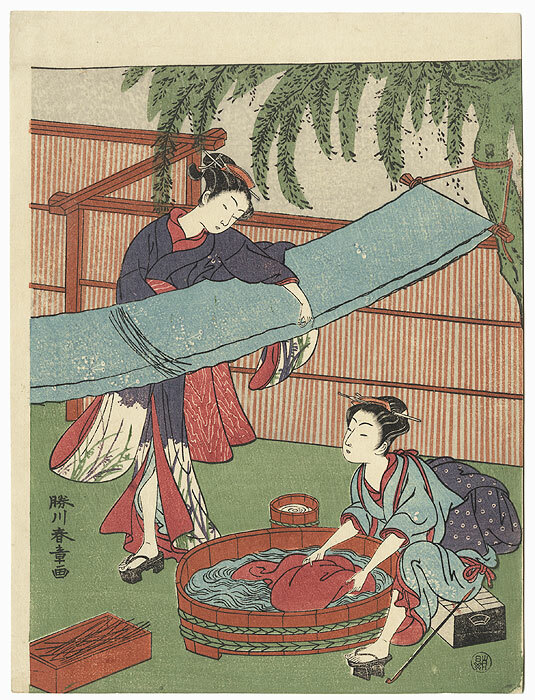 Comments - Charming scene of two beauties doing laundry, one sitting atop a board for ban-sugoroku, a game similar to backgammon, as she washes clothes in a shallow wooden tub. 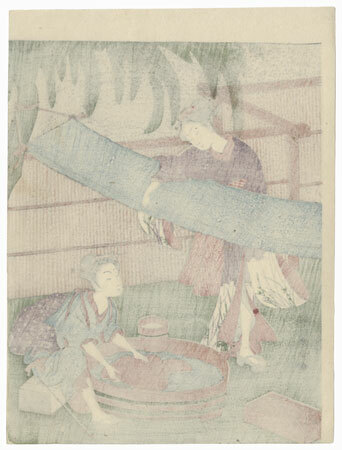 Her companion straightens an obi hung from a tree to dry, using rice or grain straws to stretch the fabric taut. A handsome image from daily life, published by Sakai Kokodo Han with publisher's seal at lower right. The first time we've offered this subject in reprint. Condition - This print with excellent color and detail as shown. Small crease at corner, slight toning. Please see photos for details. Nice overall.